As more businesses operate online, it’s increasingly important to incorporate cybersecurity tools and threat detection to prevent downtime. Unfortunately, many unscrupulous cyber attackers are active on the web, just waiting to strike vulnerable systems. Security Information and Event Management (SIEM) products have become a core part of identifying and addressing cyber attacks. 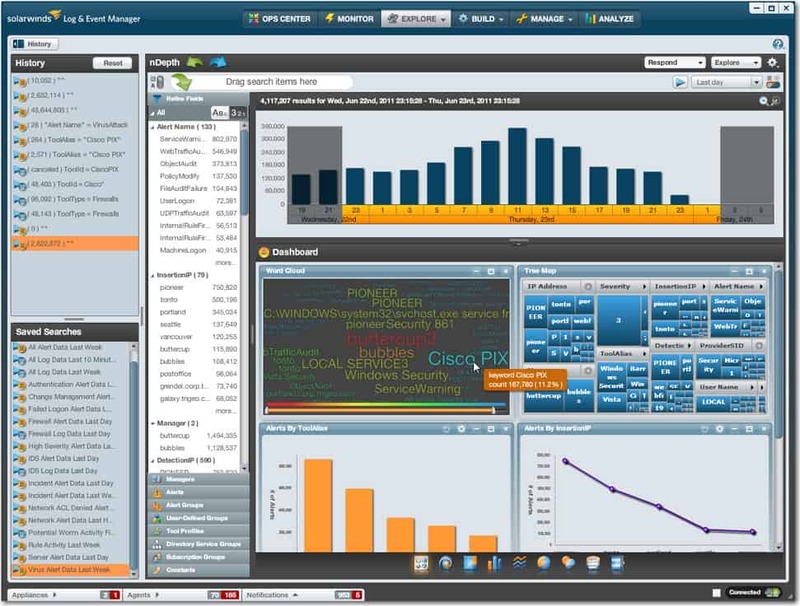 SolarWinds Log & Event Manager (FREE TRIAL) – Good-looking interface with lots of graphical data visualization fronts a powerful and comprehensive SIEM tool that runs on Windows Server. 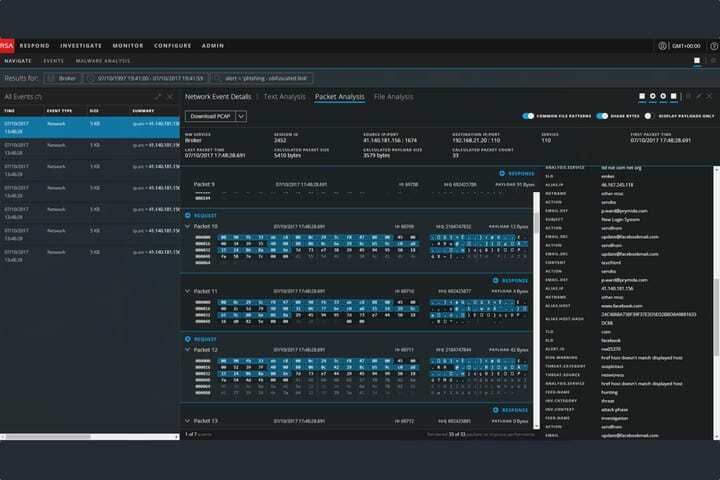 Micro Focus ArcSight ESM – Comprehensive SIEM tool that runs on Windows environments and is very well suited to large organizations. Splunk Enterprise Security – This tool for Windows and Linux is a world leader because it combines network analysis with log management together with an excellent analysis tool. LogRhythm Security Intelligence Platform – Cutting-edge AI-based technology underpins this traffic and log analysis tool for Windows and Linux. AlienVault Unified Security Management – Great value SIEM that runs on Mac OS as well as Windows. RSA NetWitness – Extremely comprehensive and tailored towards large organizations but a bit too much for small and medium-sized enterprises. Runs on Windows. IBM QRadar – Market-leading SIEM tool that runs on Windows environments. McAfee Enterprise Security Manager – Popular SIEM tool that runs through your Active Directory records to confirm system security. Runs on Mac OS as well as Windows. 1 What is Security Information and Event Management (SIEM)? 3 Why is SIEM Important? This term is somewhat of an umbrella for security software packages ranging from Log Management Systems to Security Log / Event Management, Security Information Management, and Security Event correlation. More often than not these features are combined for 360-degree protection. While a SIEM system isn’t foolproof, it’s one of the key indicators that an organization has a clearly defined cybersecurity policy. Nine times out of ten, cyber attacks don’t have any clear tells on a surface level. To detect threats, it’s more effective to use the log files. The superior log management capabilities of SIEMs have made them a central hub of network transparency. Most security programs operate on a micro scale, addressing smaller threats but missing the bigger picture of cyber threats. An Intrusion Detection System (IDS) alone can seldom do more than monitor packets and IP addresses. Likewise, your service logs only show user sessions and configuration changes. SIEM puts these systems and others like it together to provide a complete overview of any security incident through real-time monitoring and the analysis of event logs. SIEM records data from across a users’ internal network of tools and identifies potential issues and attacks. The system operates under a statistical model to analyze log entries. SIEM distributes collection agents and recalls data from the network, devices, servers, and firewalls. All this information is then passed to a management console where it can be analyzed to address emerging threats. It’s not uncommon for advanced SIEM systems to use automated responses, entity behavior analytics and security orchestration. This ensures that vulnerabilities between cybersecurity tools can be monitored and addressed by SIEM technology. Once the necessary information reaches the management console, it is then viewed by a data analyst who can provide feedback on the overall process. 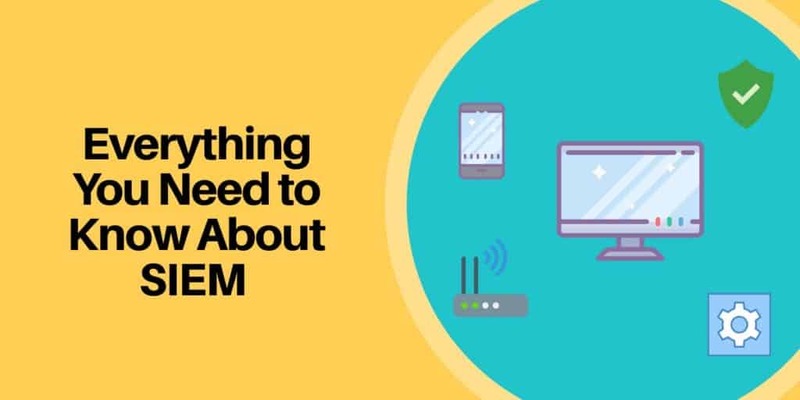 This is important because feedback helps to educate the SIEM system in terms of machine learning and increasing its familiarity with the surrounding environment. Once the SIEM software system identifies a threat, it then communicates with other security systems on the device to stop the unwanted activity. The collaborative nature of SIEM systems makes them a popular enterprise-scale solution. However, the rise of pervasive cyber threats has made many small- and mid-sized businesses consider the merits of a SIEM system as well. This change has been relatively recent because of the substantial costs of SIEM adoption. Not only must you pay a sizeable amount for the system itself; you need to allocate one or two members of staff to oversee it. As a result, smaller organizations have been less enthusiastic about SIEM adoption. But that has begun to change as SMEs can outsource to managed service providers. SIEM has become a core security component of modern organizations. The main reason is that every user or tracker leaves behind a virtual trail in a network’s log data. SIEM systems are designed to use this log data in order to generate insight into past attacks and events. A SIEM system not only identifies that an attack has happened, but allows you to see how and why it happened as well. As organizations update and upscale to increasingly complex IT infrastructures, SIEM has become even more important in recent years. Contrary to popular belief, firewalls and antivirus packages are not enough to protect a network in its entirety. Zero-day attacks can still penetrate a system’s defenses even with these security measures in place. SIEM addresses this problem by detecting attack activity and assessing it against past behavior on the network. A SIEM system has the ability to distinguish between legitimate use and a malicious attack. This helps to increase a system’s incident protection and avoid damage to systems and virtual property. The use of SIEM also helps companies to comply with a variety of industry cyber management regulations. Log management is the industry standard method of auditing activity on an IT network. SIEM systems provide the best way to meet this regulatory requirement and provide transparency over logs in order to generate clear insights and improvements. Not all SIEM systems are built the same. As a result, there is no one-size-fits-all solution. A SIEM solution that’s right for one company may be incomplete to another. In this section, we break down the core features needed for a SIEM system. As mentioned above, log data management is a core component of any enterprise-scale SIEM system. A SIEM system needs to pool log data from a variety of different sources, each with their own way of categorizing and recording data. When looking for a SIEM system, you want one that has the ability to normalize data effectively (you might need a third-party program if your SIEM system isn’t managing disparate log data well). Once the data is normalized, it is then quantified and compared against previously recorded data. The SIEM system can then recognize patterns of malicious behavior and raise notifications to alert the user to take action. This data can then be searched by an analyst who can define new criteria for future alerts. This helps to develop the system’s defenses against new threats. In terms of convenience and regulatory requirements, having a SIEM with extensive compliance reporting features is very important. In general, most SIEM systems have some kind of onboard report generating system that will help you to conform to your compliance requirements. The source of requirements of the standards that you need to conform to will be a major influence on which SIEM system you install. If your security standards are dictated by customer contracts, you don’t have much leeway on which SIEM system you choose — if it doesn’t support the required standard, then it won’t be any you’re used to. You may be required to demonstrate compliance to PCI DSS, FISMA, FERPA, HIPAA, SOX, ISO, NCUA, GLBA, NERC CIP, GPG13, DISA STIG or one of many other industry standards. If a breach or attack occurs, you can generate a report that details how it happened extensively. You can then use this data to refine internal processes and make adjustments to your network infrastructure to make sure it doesn’t happen again. This uses SIEM technology keeps your network infrastructure evolving to address new threats. Having the ability to set the criteria for future security alerts is essential for maintaining an effective SIEM system through threat intelligence. Refining alerts is the main way you keep your SIEM system updated against new threats. Innovative cyber attacks are emerging every day, so using a system that’s designed to add new security alerts stops you from getting left behind. You also want to make sure that you find a SIEM software platform that can limit the number of security alerts you receive. If you’re inundated with alerts your team is going to be unable to address security concerns in a timely manner. Without fining tuning alerts you’re going to be subjected to sifting through masses of events from firewalls to intrusion logs. An extensive SIEM system is no good if you have a poor dashboard behind it. Having a dashboard with a simple user interface makes it much easier to identify threats. In practice, you’re looking for a dashboard with visualization. Straight away this allows your analyst to spot if any anomalies are occurring on the display. Ideally, you want a SIEM system that can be configured to show specific event data. When it comes to purchasing a SIEM solution, the market has an abundance of choice. From larger companies like IBM, Intel and HE, to SolarWinds and Manage Engine, there is a solution for almost every size and style of company. There are even free open source options, although open source projects usually have very low development budget, which means these options are probably not the best. Before choosing a SIEM tool, it’s important to evaluate your goals. For example, if you’re looking for a SIEM tool to meet regulatory requirements, generating reports will be one of your foremost priorities. On the other hand, if you want to use a SIEM system to stay protected against emerging attacks, you need one with high functioning normalization and extensive user-defined notification facilities. Below we take a look at some of the best SIEM tools on the market. In terms of entry-level SIEM tools, SolarWinds Log and Event Manager is one of the most competitive offerings on the market. The LEM embodies all the core features you’d expect from a SIEM system, with extensive log management features and reporting. 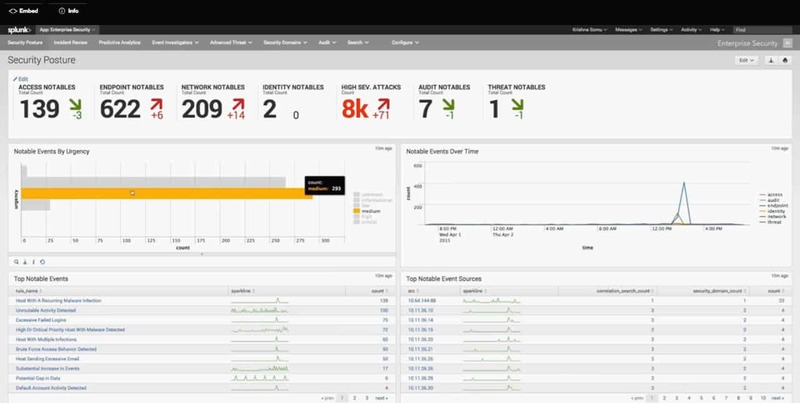 SolarWinds’ detailed real-time incident response makes it a great tool for those looking to exploit Windows event logs to actively manage their network infrastructure against future threats. One of the best things about the LEM is its detailed and intuitive dashboard design. The simplicity of the visualization tools makes it easy for the user to identify any anomalies. As a welcome bonus, the company offers 24/7 support, so you can contact them for advice if you run into an error. One of the most competitive SIEM tools on the market with a wide range of log management features. The real-time incident response makes it easy to actively manage your infrastructure and the detailed and intuitive dashboard makes this one of the easiest to use on the market. With 24/7 support, this is a clear choice for SIEM. 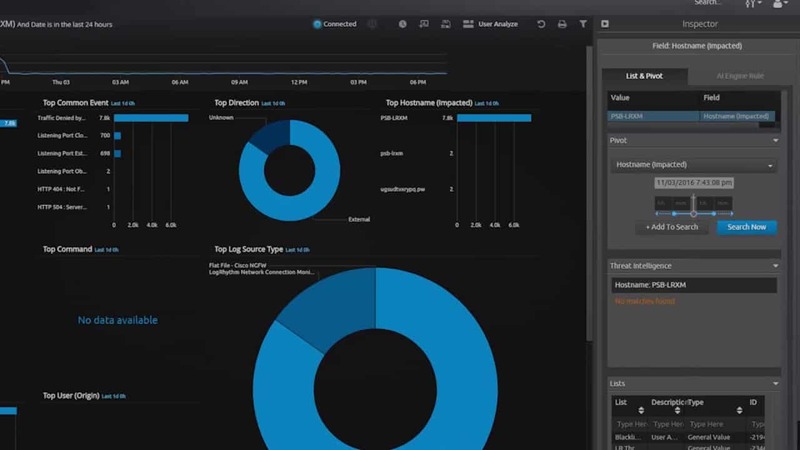 ArcSight Enterprise Security Manager (ESM), Micro Focus’ Enterprise Threat and Risk Management solution, is one of the most popular SIEM tools available on the market. This ETRM platform has all the features you’d expect from a SIEM system, with the ability to compile log data and conduct extensive data analysis. 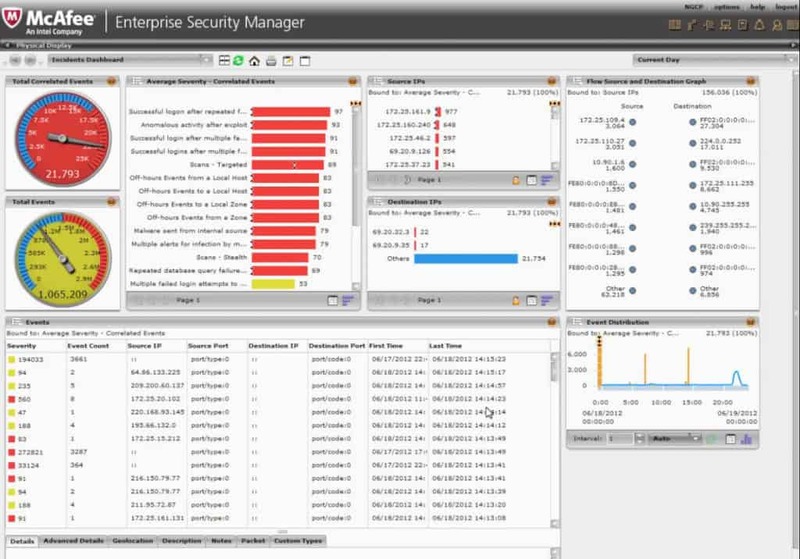 You can view real-time analysis from the system’s Enterprise Security Manager. This makes it easier to identify threats promptly. This platform is ideal for managing SIEM technology on larger IT environments as ArcSight Logger enables the user to search through existing logs. This makes it ideal for larger companies in need of more robust cybersecurity tools. In addition, the program has built-in identity tracking so that you can easily identify unwanted users on your network. In terms of industry standard tools, ArcSight is hard to beat. Splunk is one of the most popular SIEM management solutions in the world. What sets it apart from the competition is that it has incorporated analytics into the heart of its SIEM. Network and machine data can be monitored on a real-time basis as the system scours for potential vulnerabilities. Enterprise Security’s Notables function displays alerts that can be refined by the user. In terms of responding to security threats, the user interface is incredibly simple. When conducting an incident review, the user can start with a basic overview before clicking through to in-depth annotations on the past event. Likewise, the Asset Investigator does a fine job of flagging malicious actions and preventing future damage. You need to contact the vendor for a quotation so it’s clear that this is platform designed with larger organizations in mind. LogRhythm have long established themselves as pioneers within the SIEM solution sector. From behavioral analysis to log correlation and artificial intelligence, this platform has it all. The system is compatible with a massive range of devices and log types. In terms of configuring your settings, most activity is managed through the Deployment Manager. For example, you can use the Windows Host Wizard to sift through Windows logs. This makes it much easier to narrow down on what is happening on your network. At first, the user interface does have a learning curve, but the extensive instruction manual helps. The icing on the cake is that the instruction manual actually provides hyperlinks to various features in order to aid you in your journey. The price tag of this platform makes it a good choice for medium-sized organizations looking to implement new security measures. As one of the more competitively priced SIEM solutions on this list, AlienVault is a very attractive offering. At its core, this is a traditional SIEM product with built-in intrusion detection, behavioral monitoring, and vulnerability assessment. 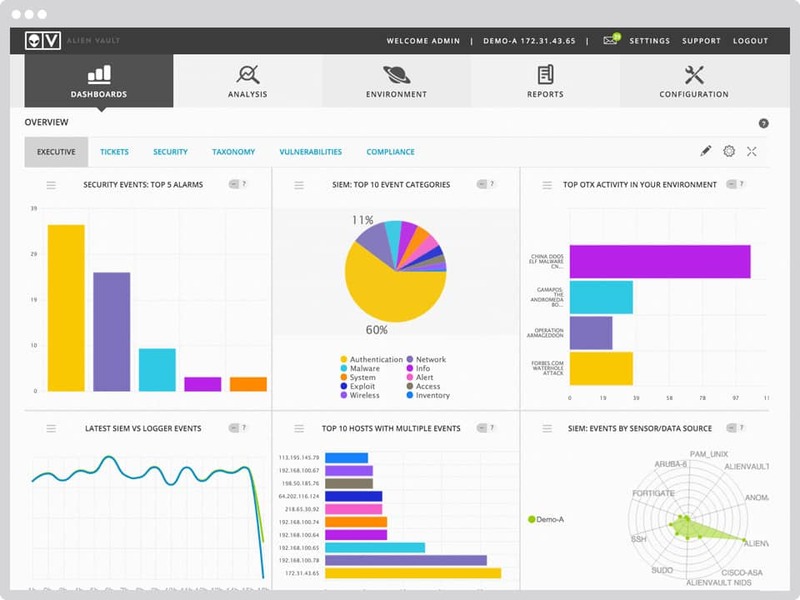 AlienVault has the onboard analytics you would expect for a platform of this scale. One of the more unique aspects of AlienVault’s platform is the Open Threat Exchange (OTX). The OTX is a web portal that allows users to upload “indicators of compromise” (IOC) to help other users flag threats. This is a great resource in terms of general knowledge and threats. The low price of this SIEM system makes it ideal for small to midsize businesses looking to upscale their security infrastructure. RSA NetWitness is one of the more middle-of-the-road SIEM options available on the market. If you’re looking for a complete network analytics solution, look no further than RSA Netwitness. For larger organizations, this is one of the most extensive tools available on the market. However, if you’re looking for a product that’s easy to use, you might want to look elsewhere. Unfortunately, the initial setup can be quite time consuming when compared with other products on this list. That being said, comprehensive user documentation will help you through the setup process. The installation guides don’t help with everything but provide you with enough information to put the pieces together. 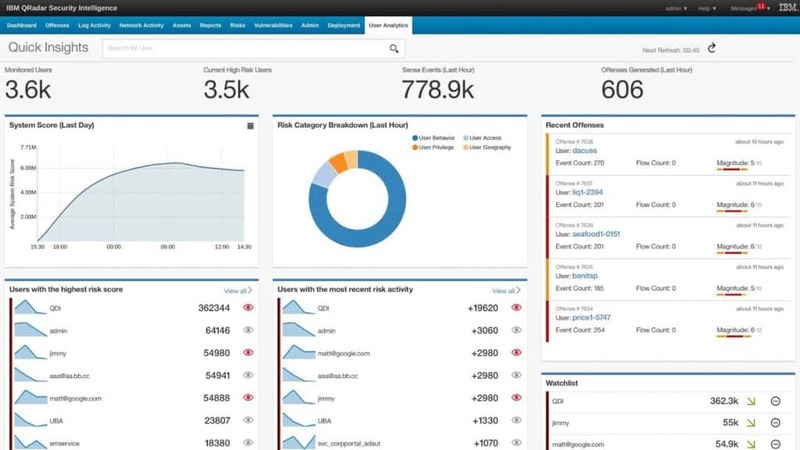 Over the past few years or so, IBM’s answer to SIEM has established itself as one of the best products on the market. The platform offers a suite of log management, analytics, data collection, and intrusion detection features to help keep your network infrastructure up and running. 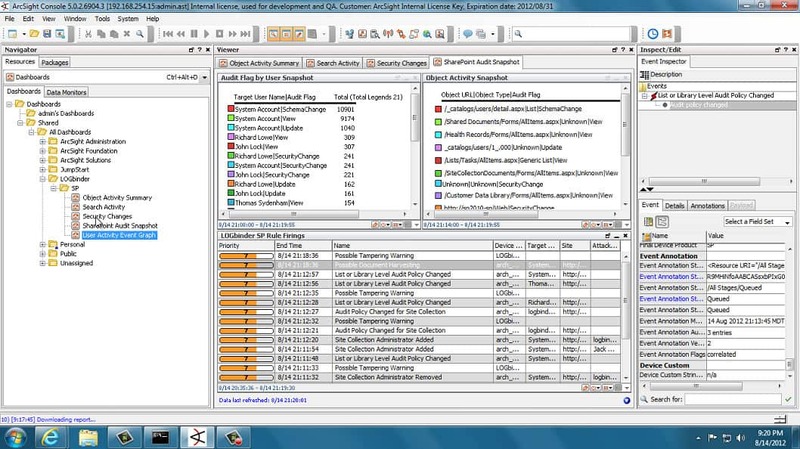 All log management goes through one tool: QRadar Log Manager. When it comes to analytics, QRadar is a near-complete solution. The system has risk modeling analytics that can simulate potential attacks. This can be used to monitor a variety of physical and virtual environments on your network. IBM QRadar is one of the most complete offerings on this list and is a great choice if you’re looking for a versatile SIEM solution. This industry standard SIEM system’s diverse functionality has made it the industry standard for many larger organizations. McAfee Enterprise Security Manager is regarded as one of the best SIEM platforms in terms of analytics. The user can collect a variety of logs across a wide range of devices through the Active Directory system. In terms of normalization, McAfee’s correlation engine compiles disparate data sources with ease. This makes it much easier to detect when a security event is occurring. In terms of support, users have access to both McAfee Enterprise Technical Support and McAfee Business Technical Support. The user can choose to have their site visited by a Support Account Manager twice a year if they so choose. McAfee’s platform is aimed at mid-large companies looking for a complete security event management solution. No matter what SIEM tool you choose to incorporate into your business, it’s important to adopt a SIEM solution slowly. There is no fast track way to implement a SIEM system. The best method to integrate a SIEM platform into your IT environment is to bring it in gradually. This means adopting any solution on a piece-by-piece basis. You should aim to have both real-time monitoring and log analysis functions. Doing so gives you the ability to take stock of your IT environment and to fine-tune the adoption process. Implementing a SIEM system gradually will help you detect whether you’re leaving yourself open to malicious attacks. The most important thing is to make sure that you have a clear view of the goals you’re looking to fulfill when using a SIEM system. Throughout this guide, you’ll see a variety of different SIEM providers offering vastly different end products. If you want to find the service that’s right for you, take the time to research the options available and find one that aligns with your organizational objectives. In the initial stages, you’ll want to prepare for the worst-case scenario. Preparing for the worst-case scenario means you’re equipped to address even the harshest attacks. Ultimately, it’s better to be overprotected against cyber attacks than to be under-protected. Once you’ve chosen a tool you want to use, commit to updating. A SIEM system is only as good as its updates. If you fail to keep your logs updated and refine your notifications, you’re going to be unprepared when an emerging threat strikes.